I'm always pleased when I can convince Emma Carroll to come on the blog. Emma is an amazing Middle Grade author and definitely one of my favourites. 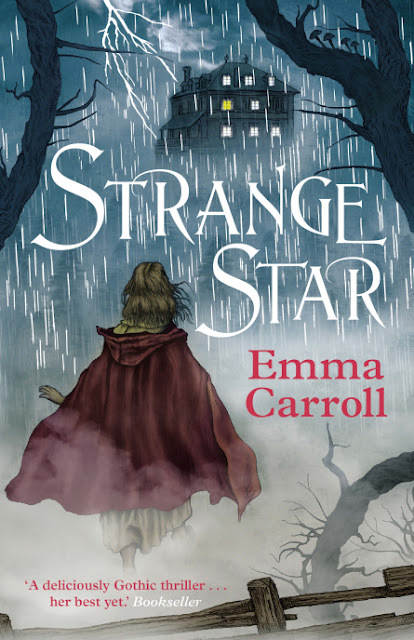 Last week saw the publication of Strange Star, her latest MG novel. Emma recently wrote an article for The Guardian, about having cancer and this post follows on a little from that one. You can read Emma's Guardian piece here. It’s a side of being an author that comes with the territory. Personal stuff, I mean- the story behind the story, the ‘hook’ that gives your book that edge. Anyone who’s signed a book deal will have filled in the publisher’s questionnaire, which asks among other things if you have an interesting backstory to share. In my case I left that box blank. Being English, I couldn’t imagine anything I’d ever done possibly being of interest. And the one thing that might’ve stirred up mild curiousity involved body parts a debut children’s author surely wouldn’t want to discuss. Yet in Strange Star, I’m more than happy to root around behind closed doors at the Villa Diodati, on that infamous June night in 1816 when Byron, Mary Godwin, Percy Shelley, John Polidori and Claire Clairmont challenged each other to tell ghost stories. Is this a contradiction, then? 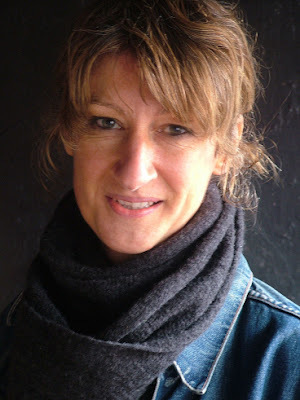 Is it all right to relish other writers’ personal histories while reluctant to share your own? Our fascination with writers’ private lives is hardly new. Shakespeare, with his bad handwriting and dead children, was the bequeather of second-best beds, the Brontes, makers of tiny, elf-sized books. Dickens’ childhood home was the debtor’s prison. Edgar Allan Poe’s days ended in the gutter, with him ranting and wearing a stranger’s clothes. On meeting Sylvia Plath, Ted Hughes stole her hairband- she bit his cheek in return. And what of the Harry Potter backstory- JK plotting out the whole series on a train journey, the single mum, toddler in tow, writing in cafes. Back to ‘Strange Star’: yes, I trawled biographies and websites for histories of the era. Yes, I researched Mary Shelley’s backstory- and it is an intriguing one. We don’t what exactly happened on that night in 1816: there are accounts, of course- Shelley’s own amongst them-but history is a person’s view, a starting point. As a writer nothing delights me more than the gaps that only our imaginations can fill, which is what I’ve tried to do with ‘Strange Star’. So, I don’t suppose there’s any getting from it: the stories behind our stories are intriguing. Who we are shapes what we write. In the end, yes I did talk about my body parts for a piece in The Guardian. People read it and I didn’t die of shame. Maybe it’s okay to reveal personal things, particularly if it helps others in some way. Or maybe its just that people who write books are interesting- not that I’d include myself in that, of course, being English! They were coming tonight to tell ghost stories. 'A tale to freeze the blood,' was the only rule. Switzerland, 1816. On a stormy summer night, Lord Byron and his guests are gathered round the fire. Felix, their serving boy, can't wait to hear their creepy tales. Yet real life is about to take a chilling turn - more chilling than any tale. Frantic pounding at the front door reveals a stranger, a girl covered in the most unusual scars. She claims to be looking for her sister, supposedly snatched from England by a woman called Mary Shelley. Someone else has followed her here too, she says. And the girl is terrified.